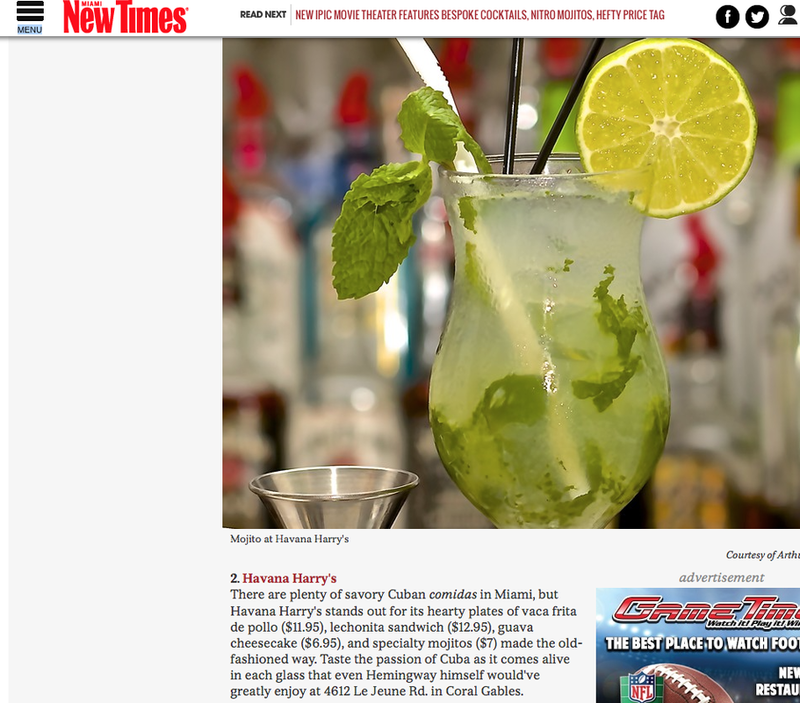 Established in 1995 as Miami's premier Cuban & American fusion restaurant. Havana Harry’s is a modern restaurant inspired by Cuban, Spanish, and Latin American cuisine served up with a delicious twist. At Havana Harry’s, we offer an elegant, delicious dining experience including an outstanding selection of the finest food quality and service at an affordable price. Whether you’re coming for lunch, dinner, happy hour or late night, Havana Harry’s will quickly become your favorite place for authentic food and drinks.